As a teacher, I get time off in August, right after summer school ends. My break was mostly spent finishing my novel. I did that every single day for most of the day. I worked hard, and I'm nearly finished now. But, just for fun, I'm going to post something else from each day of August Break. 1 Messaged a friend (who thinks Batman is hilarious) that there is a town called Batman in Turkey. (I discovered this doing research for a novel). 2 I cooked 3 pizzas using hand-chopped ingredients and Pillsbury dough. 3 I watched The Giver movie (it was OK) and then I did some scrapbooking. 4 I beat a trophy challenge in Arkham Knight called Brutality 101. 5 I got stood up. 6 I went on a solo adventure to Twilight Comics and At Home. 7 Tried to fix a car (not mine) that was fried on the side of the street. It needed a new engine, no joke. 8 Went to the Alpine Shop and also bought pumpkin spiced coffee creamer. 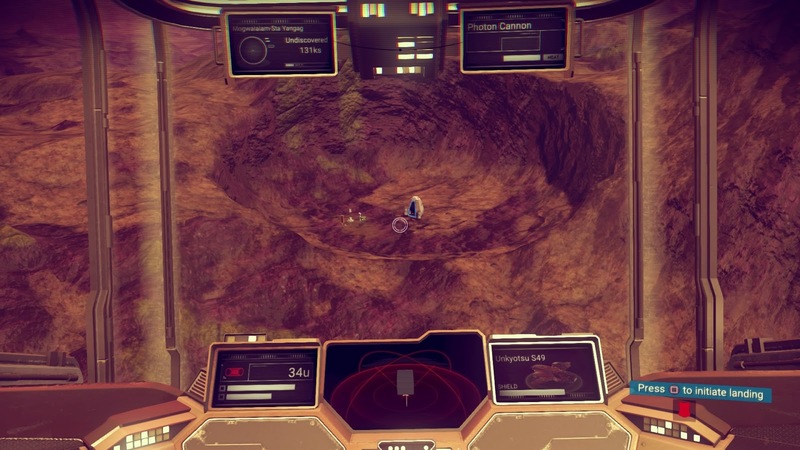 9 Began playing a new game called No Man's Sky. 10 Saw my cousin and aunt. 11 Had a weird dream about Hillary and Donald fighting for control of the universe in space-warfare. 12 Heard rumors and gossip all over facebook. 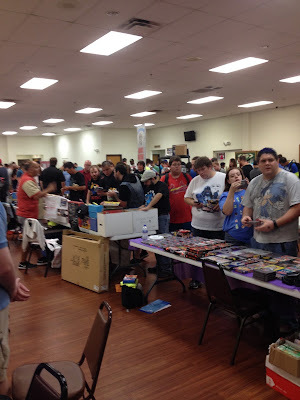 13 Went to a retro gaming convention with my cousin. 14 Had breakfast with a close friend and then prepared to return to school. 1. Make your first landing on a landing pad. For your first landing on a new planet, I always suggest landing on a landing pad, either at a shelter or at a full-on trading post. Trading posts have the benefit of being on top of raised platforms, which are almost always out of the reach of hostile creatures and sentinels. The second benefit is that landing pads give you a free re-launch. If your ship lifts off a landing pad, you will not have to charge your launch thrusters. So, if you’re on a planet where resources are limited or you cannot get near them, you’re golden. This gives you time to assess your situation, and whether or not you want to continue exploring the planet. Landing pads also almost always mean that you’ll have access to that robot-eye looking vendor. That means you can quickly dump your old cargo and restock on things you need. 2. Have everything fully charged up before leaving, and bring some extra plutonium. When leaving a planet, make your life easier and charge all your systems up before moving on. You never know how challenging your next planet will be, so reload your multitool and life support before heading out. Also, it helps to have a little plutonium to start, since that charges everything. 3. Purchase the shield upgrades. There are upgrades that can give your exosuit resistance to cold, heat, radioactivity, toxicity, and even allow you to breathe underwater. The cheapest versions require very common minerals, so they’re good for using / deleting as you arrive and depart from planets. The better versions require gravitino balls. Some planets have gravitino balls littering the ground, however, you should be weary as sentinels walkers are instantly deployed upon gathering them. However, I’ve found that you can park your ship near these rare substances, gather them, and jump in and fly off before being attacked quite easily. 4. Learn how to jetpack-run-melee jump. I wrote a tip about this, here. However, I’ll just say if you run, do a melee attack, and then immediately jump into your jetpack, you will fly REALLY FAST across the terrain. This is an important thing to learn how to do, especially if you’re on a planet with storms and other extreme conditions. This will save you time and from getting damaged. Also, it allows you to run away from sentinels and hostile creatures. This is the best tip ever! I use it constantly! To move really quickly across terrain, get a running start, do a melee attack, and immediately jetpack-boosted-jump. WARNING: Make sure you save enough jetpack fuel to slow your landing, otherwise you will take fall damage. Detailed explanation: Your jetpack’s speed is changed by your character’s speed. Naturally, your character does not run very quickly. However, running while melee attacking makes your character run extremely quickly for a short period. If you jetpack-boost-jump immediately after a running melee attack, you will fly incredibly fast. It’s really fun to do this! However, this may be a glitch, so the developer may patch it out. Let’s hope not! No Man’s Sky Tips: How to get more inventory slots on your exosuit quickly. There are two ways to max out your suit’s inventory slots fast, but both require a ton of money. Slots are purchased, and the more slots you have, the higher the cost for the next one. Step 2: If you have an Atlas Pass V1, then you can find a Slot Pod in any Space Station. Simply walk through the door on the left. Step 2: Go to a barren planet. One without much plant or animal life. The more bland looking, the better. Step 3: Use your eyes. Slot Upgrade Pods are REALLY easy to see on barren planets and moons. You’ll find a bunch quickly. Just use your eyes and not your scanner. Forget the scanner, just fly slowly and you’ll find the pods ASAP. Writing/editing this novel has been the biggest challenge ever for me. I feel like I'm learning so much, though. How to use words other than "was," how to make a plot central and focused, etc. I've written books before this one, but they were practice and I don't plan on releasing them, but The Unraveler is the first I want to actually turn a profit on. The history of this book is long. I remember telling my friends about the idea of it while camping, many years ago. I didn’t have the skill to write it, then. What it turned into is crazy weird and fun. It’s basically if the Halloween season got blended into a novel. BTW, the attached picture is a creature from my novel (which I drew). Each full edit feels like I've turned it into a whole new book. Just this last edit has had me cut 10,000 words and adding a new chapter. I plan on having a new draft done by my birthday, and I hope to be completely finished editing it by Christmas. So many people have helped me with feedback. Friends, one complete stranger I met online (she writes fantastic novels, btw). I’m so thankful. It’s weird to think about, but the first person to ever read my novel died a year ago. I'm also working on other writing projects. I’m working on other novels, mostly in planning/experimental stages. A book about an anonymous Internet threat, a book about a famous punk rock band with supernatural elements (titled: Pixelic), and then the sequels to The Unraveler. I’ll likely be focused on sequels until the series is done, but my plans for other novels need the time to simmer, anyway. I’ve done some short story writing, too. I had been thinking about Batman’s waterfall that he drives into to park the Batmobile. In modern times, there’d be no way for Batman to escape surveillance. So, I’m working on a story about how fly-over imaging tech would catch superheroes. I also wrotethis Harry Potter fan fic. I felt a little lame writing fan fiction, but the idea screamed at me to write it. I thought about the idea for months and months, and I couldn’t ignore it. It’s set before the Prisoner of Azkaban, and I’m pretty proud of how it turned out! It’s got a ton of views from Reddit. I also recently posted a poem that I wrote a few years back. It’s about the feeling of being so emotionally dumbfounded that you can barely stand up. I should also mention that I’ve been writing monthly posts on four different blogs. Oxyborb.com is about nerd culture, Harrisonaye.com is about writing.